Lately, I’ve been all about ripped jeans. It’s so fun to mix distressed and polished, or just look a little less put together sometimes. You need that after a long work week 😉 . I wanted to share some of my favorite ripped jean outfits with you. And where did I get my favorite pair of ripped jeans? T.J. Maxx baby! I love the cold-shoulder look, it adds a little flirty feel to a pair of jeans and boots. 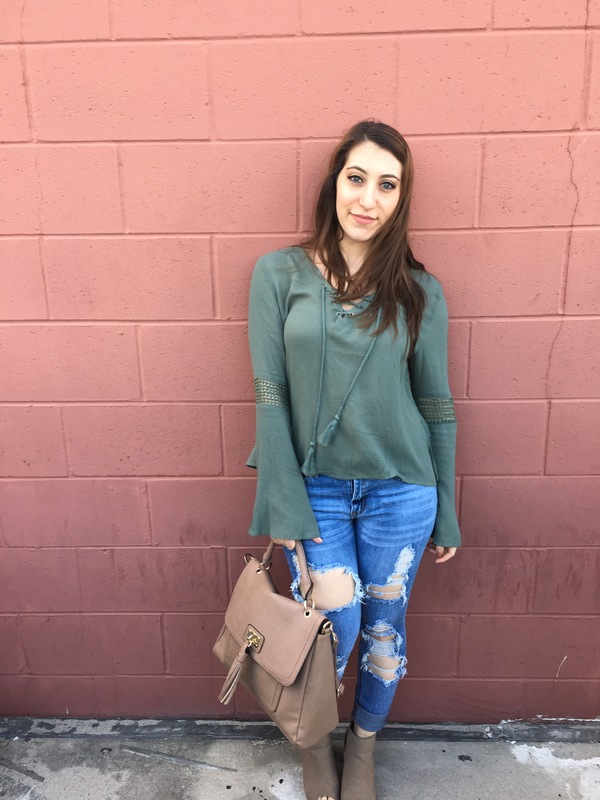 I have so many other tops I’d love to pair with these jeans to stay tuned!